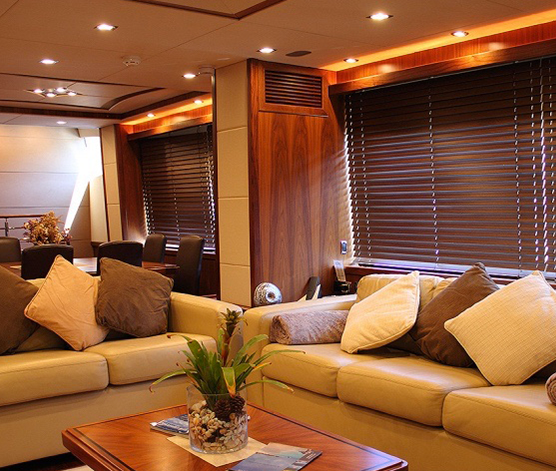 Stepping aboard Buzz, guests are greeted with plush, stylishly-designed interiors. The main salon is ideal for leisurely lounging or movie-watching while her lavish accommodations provide quiet, private escapes. Outside, her flybridge provides endless entertainment boasting al fresco dining space and inviting lounges for soaking up the Mediterranean sun. 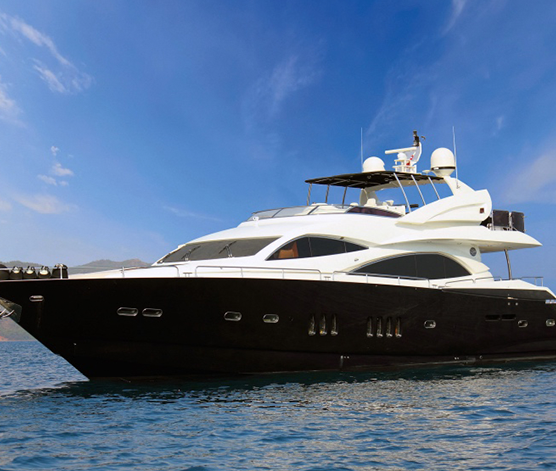 Also onboard are an entire armada of watertoys for endless hours of entertainment on the water. 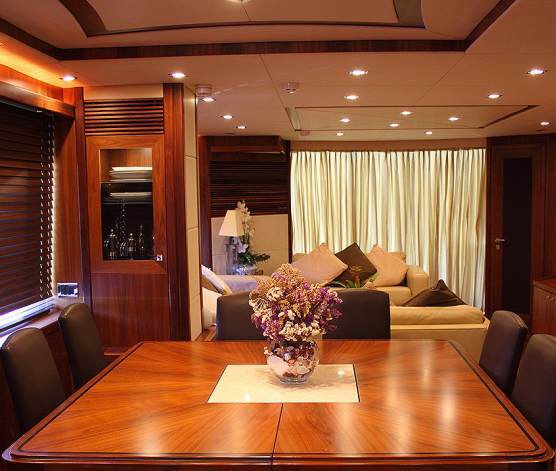 Motor yacht Buzz is powered by two Caterpillar 1800hp engines that allow her to reach a maximum speed of 28 knots and cruise comfortably at 22. 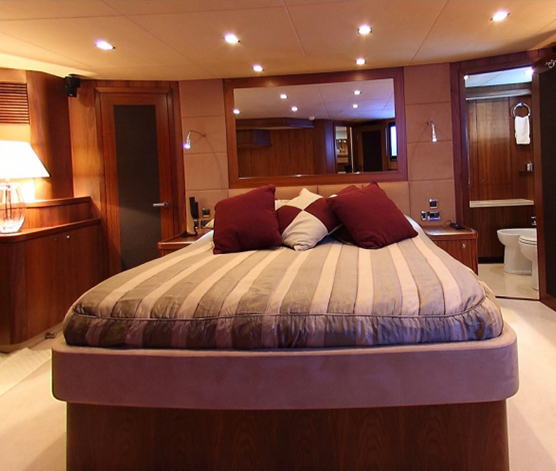 Featuring a dedicated crew of four, she is an excellent charter yacht for luxury vacations.